Lower Your Insulin Level. It’s Making You Fat. We’ve been told that we have an obesity problem in North America. We’ve also been told that our sugar consumption is too high, and that this can eventually cause health problems like insulin resistance and type II diabetes. But you may not have heard this part before: the easiest way to lower your insulin level and lose weight is to simply stop eating for 24 hours on a regular basis. Dr. Jason Fung, a doctor in Scarborough, Canada, made this intuitive leap while trying to help his own patients drop their insulin level and lose weight. Insulin, he says, causes your body to store energy in the form of glucose and fat . As long as you keep eating and your insulin level remains high, the fat and sugar storage will continue. It then follows that if you can stop eating for a long enough period of time, your insulin level will finally drop, forcing your body to use the fat instead of storing it. One of the problems with our modern diet is that it seems we never stop eating. In addition to breakfast, lunch, and dinner, we now often eat a snack in between each meal as well. And it’s not even just the meals and the snacks, it’s the size of the meals and the snacks. We spend so little time without food in our stomachs that our insulin level is never antibiotics able to drop completely so that our body can begin using our fat instead of storing it. Dr. Fung’s solution is simple: just skip breakfast. Eat nothing after dinner the night before, skip breakfast, and don’t eat until lunch. For many people, that would mean 18 hours without food. If you have the energy, you can skip lunch too, and just drink water, tea or soup broth throughout the day until your evening meal. Dr. Fung says he does this himself, and has also recommended it to many of his patients, and he’s pleased to say that it has worked wonders for their health. 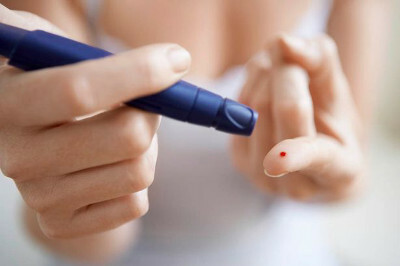 Once they begin fasting and their insulin level comes down for an extended period of time, their weight finally drops and many chronic health problems, like type II diabetes, are suddenly resolved. In our modern, food-centric, and increasingly obese culture, this may be a magic bullet we can all use to help us lose weight and finally regain our health. Excerpt: “How do we bring our insulin down? First, avoid foods that excessively stimulate insulin. Like, sugar and refined grains. That, we (as a society) have accepted. But we also need to think about meal timing.We need periods of time when we aren’t eating, so insulin can go down, leaving our bodies in energy burning mode. If we leave more time between meals — and, therefore, burning energy — we will lose weight”. The new Star Wars movie has brought back to the big screen some of our favourite fictional characters of the last several decades. Along with them, comes the Force, that mysterious life energy that gives both Luke Skywalker and Darth Vader their super-hero powers. When George Lucas created Star Wars back in the 1970’s, he admitted to being influenced by Eastern thought, as well as the core story elements of mythology. In honour of the return of Star Wars to our current zeitgeist, I thought it would be interesting to examine the ways in which the Force mirrors key elements of traditional Chinese medicine. In Star Wars, Obi-wan Kenobi describes the Force as “an energy field created by all living things. It surrounds us and penetrates us; it binds the galaxy together.” Just like the Force, the ‘qi’ of Chinese medicine not only surrounds and penetrates us, but also lifts us, supports us, and moves us. The Chinese character for qi is a combination of the words, “vapour, steam, or gas” and “rice” which is the foundation of the Chinese diet. So, qi then has both an immaterial form, like steam, and a more material form, like rice. This is why qi can simultaneously be referred to as the complex combination of forces which results in our protective immune system, and also as the conversion of food into blood and tissue in our bodies. It is the mysterious energy which propels our bodies into action, whether as protection, nourishment, or support. Our emotions can either enhance or block the free movement of qi, which can have major consequences for our health. In the movie The Phantom Menace, Yoda famously says, “Fear is the path to the dark side. Fear leads to anger. Anger leads to hate. Hate leads to suffering”. In reality, all of these emotions can lead to suffering because all will block the free flow of qi throughout our bodies. According to Chinese medicine, unresolved anger can block energy in your liver, excessive fear can block energy in your kidneys, over-thinking or worry can block energy in your spleen/pancreas, and grief or sadness can block the movement of qi in your lungs. In all cases, when any of these feelings are felt routinely, or to excess, the respective organs will become stagnant or deficient and fail to perform optimally. This is why many chronic health problems can only be completely resolved when we are able to sort through old emotions and finally let them go, allowing qi to flow freely again. An essential part of Luke Skywalker’s training to become a Jedi involves stilling and quieting his mind so that he can feel the Force move antidepressants within him. Likewise, the qi of your body is strengthened when your mind is stilled and no longer rocked about by difficult emotions. When we are still and quiet, we relax and can breathe more deeply. According to Chinese medicine, whenever you draw a breath, you are inviting qi into your body. It is the qi of the universe, and the deeper and fuller your breathing, the more of this qi you allow into yourself, which gives your body strength and your mind clarity. Deep breathing of this kind also facilitates letting go with your out-breath, so in addition to increasing the amount of positive qi that enters your body, you are also releasing the negative qi that blocks movement and creates poor health. This is why stilling your body and quieting your mind can strengthen your qi. One of the central themes of Star Wars is the concept of the Dark Side. On the surface, this may seem like just another term for evil, but we know that Darth Vader was not completely dark. As Luke Skywalker said in The Return of the Jedi, “Your thoughts betray you, Father. I feel the good in you, ” and in the same way, there is no absolute good or absolute evil in Chinese medicine. The two terms which are used are yin and yang, and although yang is defined as a substance with greater heat and light, and yin is more cool and dark, this does not mean that yang is good and yin is evil. It is understood that for optimal health, both yang and yin need to be kept in balance. Yang energy, such as a quick metabolism, and organ strength can easily begin to form too much heat in your body, leading to inflammation and hyper-activity. Likewise, too many yin fluids can cause coldness, sluggishness, and hypo-activity. To move towards greater health, yin and yang are both necessary, and each must be properly balanced against the other. The opposing nature of yin and yang can mean endless variation in Star Wars movie plots, as either the Light Side or the Dark Side can gain strength and then inevitably cause the other to weaken. 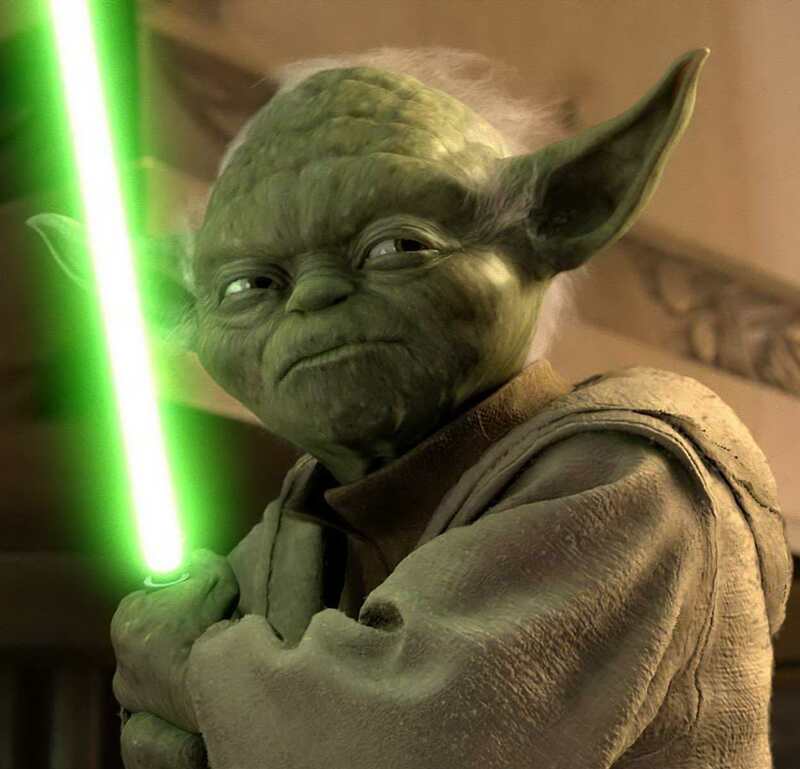 Nature rarely stays balanced for long, so we will always need a Jedi protector to balance the dark ambitions of a Sith lord, just as we will always need healing yin fluids to balance an over-heated yang lifestyle. This means that maintaining good health will always require vigilance, and for Star Wars fans, it also means endless fun in movie theatres. You can continue to reflect on the Force and on Chinese medicine as you watch “The Force Awakens” this Christmas season. Most Western countries are experiencing an unprecedented increase in the number of aging seniors within their populations, with a comparably small number of youth. As these seniors age, Alzheimer’s and other forms of dementia are becoming much more common, yet there is still no known cure. Enter Chinese medicine. A compound made of three Chinese herbs has shown promise in treating people with memory problems, and it has now received approval to enter clinical antiviral trials in Australia and in China. We will be watching these trials with great interest. Exerpt: “Over the last 10 years, Sailuotong has been systematically studied in the laboratory and clinical trials. These preliminary studies have shown Sailuotong improves the cognitive and memory impairment associated with vascular dementia”. The number of cases of liver failure due to accidental overdose of acetaminophen has risen alarmingly in recent years. Acetaminophen, the main ingredient in the popular pain-killer Tylenol, is safe at recommended dosages (4 grams daily, for most people). However, many people are unintentionally overdosing due to the presence of acetaminophen in so many over the counter drug formulations. If you must take drugs to control either pain or cold and flu symptoms, please eta-i.org/valium.html ensure that you are taking only one acetaminophen-containing drug at a time to avoid potentially fatal liver damage. Excerpt: “People are more likely to die from accidental acetaminophen overdoses than intentional ones. 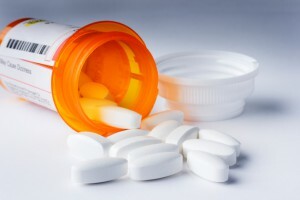 According to the Johnson & Johnson study, 26,372 patients were admitted to hospital between 2004 and 2013 for acetaminophen overdose and 431 died. Among the deaths, 3.6 per cent were caused by accidental overdoses versus 0.9 per cent caused by intentional overdose”. 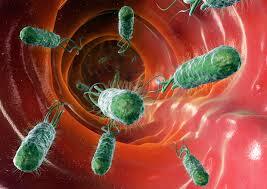 Feed the Bacteria in your Gut. They’re Hungry! Reduced quantity and diversity of intestinal bacteria may be a big reason that we are seeing increased incidence of inflammatory conditions, such as obesity, type-2 diabetes, and auto-immune disorders in the modern world. Over-use of antibiotics is one reason that this is happening, reduced fibre in our diets is another. The good new is that just by increasing the amount of fibre that you eat each day, you can restore depleted bacterial counts in your intestines, valtrex which may go a long way towards not only preventing, but also resolving some of these chronic illnesses. Has the Quality of Wheat Really Changed? A professor at the University of Saskatchewan says that the wheat we eat today has changed very little over the last hundred years and cannot be the cause of the sudden surge in gluten intolerance. Excerpt: “The overall balance of protein and starch in a grain of wheat adhd hasn’t changed since the days when crops were harvested by threshing crews. 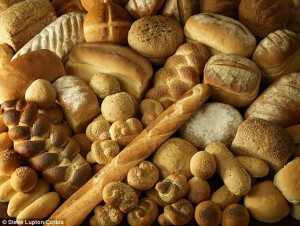 Even the starch component of wheat — a complex amalgam of many carbohydrates — is about the same level it has always been”. 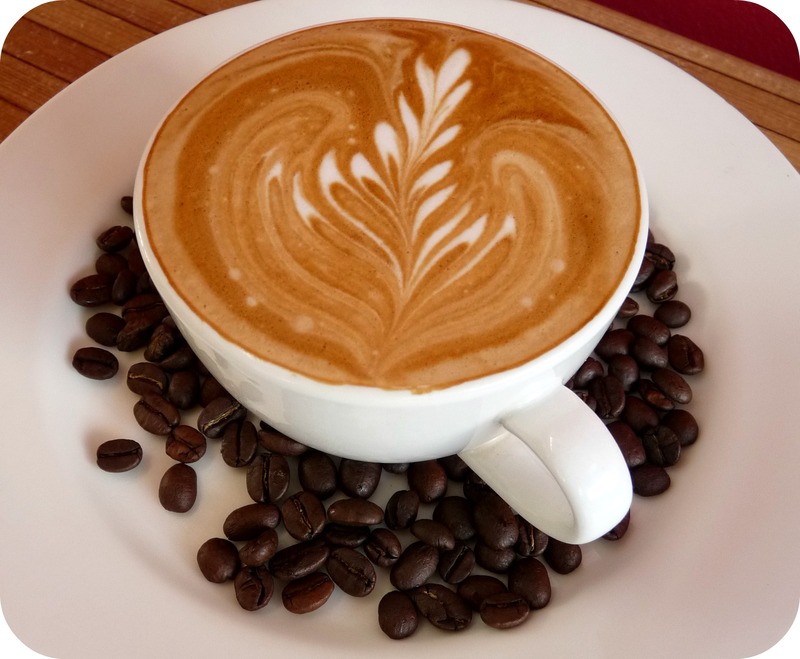 Recent studies have shown that coffee may reduce cancer risk, prevent neural degeneration in the brain, and reduce the risk of cardiovascular disease and strokes. Although coffee had previously been thought to raise the risk of cardiovascular disease, recent studies have shown that women who drink one to three cups of coffee daily have a 24% reduced risk of heart disease, and a 19% reduced risk of stroke. Maybe coffee isn’t so bad for us after all! Excerpt from the article: premier-pharmacy.com “Coffee is a very complex mixture of various chemicals. Researchers are still trying to track down exactly what it is that makes coffee so mysteriously beneficial, but it’s antioxidant components may be part of its protective effects against cancer”. As I look out my window on this cold February day, I can’t help noticing the trees. For some reason, I’ve always been drawn to trees. When I was a child, I remember thinking of the trees on our family farm as my friends. I would gently shake the lowest branches and pretend I was shaking someone’s hand. When a warm, spring breeze would cause the branches to sway, I would imagine the tree was laughing with joy. When climbing a tree, I would press my body against its strong trunk, ignoring the rough bristles of bark, and pretend that I was giving it a hug. 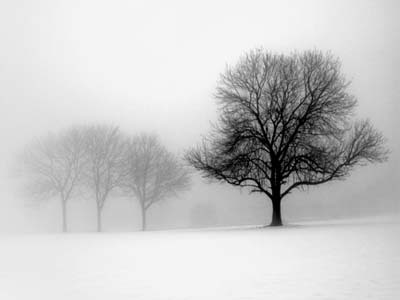 During the winter months, I often felt an even closer bond with the trees. Once their soft, green leaves turned brown and tumbled to the ground, it felt that their soul was being revealed. No longer hidden behind swaying bunches of green, the barren trunks told the story of their lives. Deep black gashes from a lightning strike could now be seen. Branches may have grown in one particular direction to avoid the worst of the winds. If too many trees had grown too close together, you could see how they strained to avoid one another, with branches growing at odd, and sometimes tortured angles in an effort to receive sunlight in a competitive space. I always felt a little sorry for trees which had grown in an imbalanced way, their trunks blown way to one side because they hadn’t the strength to withstand strong winds. Now that I live in the city, I can see where branches have been lopped off to prevent entanglement with power lines, forcing the trees into painfully irregular shapes. Yet, there are still some trees which are beautifully balanced, who have survived the many storms of their lives with apparent aplomb and grace. I believe that there is much to admire in trees, particularly as we struggle to endure the cold winter months. Even the most damaged of trees stands patient and stalwart in the cold. Without any leaves, it may look dead right now, but there is still life beating through its core, just waiting for the sun to warm it. The trees do not appear to complain about the cold, as I do. In fact, they do not appear to complain about any of the hurts inflicted upon them. When the damaging winds of winter arrive, they simply endure. And when spring finally arrives, their leaves are eagerly unfurled in a grand display of joy and hope, once again covering up the scars beneath. As I look out my window at the bleak winter day, it is this strength and resilience that I seek to emulate. Just as the trees hold their energy in the core of their trunks, so we also hold our energy in the cores of our bodies: our kidneys. In Chinese xanaxlowprice.com medicine, we are reminded to keep our kidneys warm and well nourished, so that we will have the resilience to endure the winter. Primarily, we do this by avoiding cold foods and drinks. Now is not the time for cold milkshakes or other frozen treats. Instinctively, we reach for warm teas, and hearty stews and soups, where the nutrients have seeped into a rich and nourishing broth. Rather than eating raw salads, we should reach more frequently for cooked vegetables, like oven roasted onions, carrots and beets. We steam our greens, or add them to our soups, and we eat more animal products, since they can provide a large amount of nutrients in a small package. Spices like cinnamon, cardamom and ginger, while used sparingly during the warm summer months, can now be added to any dish we eat. Their mildly heating flavours keep our organs brimming with warmth and energy, and help us to better assimilate our food. Chai tea is a good drink in the winter because of the warming spices it contains. Apple cider simmered in orange peels and cinnamon bark is another good winter beverage, since the warming orange peels help with digestion, and the cinnamon has not only been shown to help lower blood sugar levels, but also both warms and circulates our blood, according to Chinese medicine. Nuts of all types are dense nutrients that warm your body and because of this, can be eaten more regularly during the winter months. You should still beware of their tendency to congest the liver, but if you enjoy nuts, winter is the best time to eat them since your body could use the extra warmth they provide right now. Walnuts in particular are said to warm your kidneys, and according to Chinese medicine, are also good for your brain. It may be the abundant omega-3 oils in walnuts which provide this benefit. While all nuts and seeds are high in omega-3 oils, walnuts are at the top of the list, behind only flax seeds and chia seeds in their abundance of this key nutrient. Today, the lovely Linden tree in my front yard is dusted with a soft coating of snow. The wind is barely perceptible, and you wouldn’t notice it at all except for the softly falling flakes of snow, which are not dropping downwards, but floating lazily off to the east. The branches of my tree are held out wide beside its trunk, accepting the events of this day, as it accepts them on all others. And as I gaze at it’s graceful, yet indomitable posture, I gather my own strength and courage. I am ready to face the next few weeks of winter with the same poise and equanimity. More than all other traditional holidays, Thanksgiving and Christmas are the ones which compel us to forget about the problems in our everyday lives and to remember to be grateful and joyful. Throughout each of our lives, there have been incidents which hurt us, or people who painfully deceived us, ignored us, or abused us in some way. In many cases, these people are family members who we still see regularly and against whom we may still hold a grudge. This can make family holiday gatherings a tense affair, to say the least! But I would encourage you to take an opportunity, in this season of joy and gratitude, to remember some positive, happy memories of these people as well. People are rarely completely bad, and although cousin Jim may annoy you tremendously in the present, you may recall that you spent many happy hours playing in the snow with him as a child. We have a tendency to remember and to focus our energy on all the negative events in our lives. We may recall with complete clarity the day our Aunt Bethany accused us of being selfish and unreliable. We may remember the exact expression on her face, what she was wearing, and who else was in the room, despite the fact that this happened more then ten years ago. But do we also remember how she took care of us as a child when our mother was sick, playing endless games of Snakes and Ladders with us to keep us from feeling sad? Or that she offered to help babysit our kids, without mention of any payment, when we couldn’t find a daycare provider in time for our first day of work? Why is it that one negative memory can outweigh so many other positive ones? It may be helpful to know that there is a natural reason for this emphasis on the negative over the positive. The negative experiences in our lives have always been the most instructive. It is because we were bitten by that snake when we were young that we now know how to identify it, and warn others away if we see it again. It is because we skidded on ice and broke our arm that we now know to walk carefully on the sidewalks in winter. These negative experiences helped us to survive, and so we rightly emphasize them when we recall the events of our days and years. 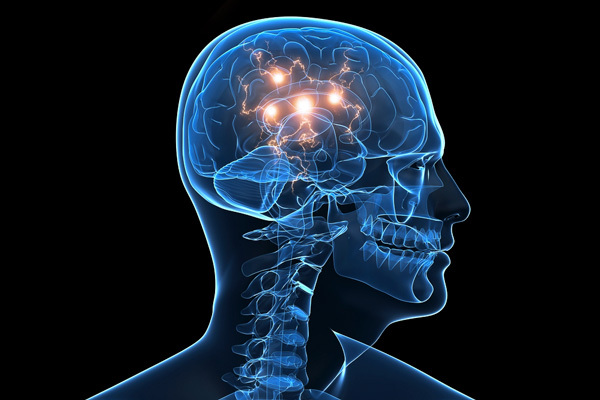 Just as we have retained the memory of physical traumas to help us survive future accidents, our mind also emphasizes negative emotional experiences from the past to help us negotiate potential hurts in the future. This is why we may perversely cling to the memory of the harsh words our parents spoke to us when we were young, yet forget how our father cried with joy and hugged us tightly when we graduated from university. If we cling to these negative emotional memories, they can become scars on our minds, and each time we have a similar experience, we will re-trace those memories and make premier-pharmacy.com/product/provigil/ them stronger. All this is done in an effort to protect us from future pain. But by doing this, we have unwittingly taken a healthy survival mechanism that was meant to protect us, and used it to dwell on past mistakes and traumas, which make us less happy in the present. In Chinese medicine, the heart is not just a physical organ, but has its own spirit as well, called the “shen”. When you think of hurtful events from the past, and regularly become distressed, anxious, or depressed by them, the shen in your heart is said to be disturbed. It is no longer light and free as it should be, but heavy and closed. This closed feeling occurs because the tissues around your heart have begun to tighten in response to your emotions. Since the beating of your heart ensures that blood pumps regularly throughout your body, naturally, these tightened muscles and tissues in the area of your heart can restrict blood circulation. Not only is this bad for your heart and your overall health, but it is emotionally painful. People who have had enough negative emotional experiences in their lives know that in the depths of their despair, it really does feel like their heart is breaking. This is why deep breathing and stretching exercises can be so beneficial for both your heart and your emotional health. As you breath deeply and gently move and stretch your limbs, blood that may have become stuck in those strained tissues around your heart will begin to circulate again. This will not only relieve the pressure on your heart but will help you to feel more positively about your life again. In yoga, poses which are known to help depression are those which open up the chest, such as back-bends. But even if you don’t do a back-bend, simply by breathing deeply, and extending your arms widely beside your chest, you can open up your heart and improve circulation there. You’d be amazed at how quickly this can lift your mood. Holidays like Thanksgiving and Christmas can often be stressful, as we feel forced to socialize with people who may have hurt us emotionally in the past. When we allow these painful memories to close off our hearts, they can cause health problems too. If you find yourself in this situation this Christmas, I would encourage you to use it as an opportunity for healing. When you meet someone who has hurt you in the past, instead of re-tracing the negative emotions associated with them, try to focus on happier memories. There are bound to be some in any relationship. Try to remember small kindnesses shown to you as a child, as a teenager, and even in your life today. As you continue to re-trace these happy memories instead of the negative ones, you will be strengthening positive thoughts, and your spirit will have a chance to grow in joy and love. 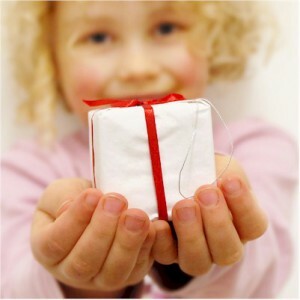 That is a gift you can give to yourself this Christmas that will reap many positive benefits in the year ahead. There was a lot of tumult this past spring when a meta-analysis published in the Annals of Internal Medicine stated that the amount of saturated fat in your diet makes no appreciable difference in coronary heart disease rates. With a headline like this, it is understandable that people would become indignant over the juicy hamburgers, crisp slices of bacon, and delectably soft cheeses that they had diligently avoided eating over a period of forty years, on what was considered sound medical advice. However, before you grab your coat and head over to the nearest burger joint, you should know that those headlines were very misleading. The meta-analysis did not show that saturated fat is guiltless in coronary heart disease rates. In fact, if you eat a lot of saturated fat, your chance of contracting heart disease will still go up. It’s just that the researchers have discovered more bullets in the gun that is pointed at your heart. In short, if you cut back on saturated fat, but increase your consumption of sugars and refined starches, your chance of contracting heart disease may actually go up, not down. Sugars and refined starches are not a neutral pain relief party in heart health. So, rather than using this study as an excuse to return to our favoured dietary habits of old, we should view it as a stepping stone to a new understanding: there is never one single component of our diet that we can withhold and thereby gain true health. We cannot simply remove saturated fat, or white sugar, or refined flour and then consider our diet to be more healthful. Each of these foods can still be included in a healthy diet, as long as they are proportionally small. The bulk of your diet should still be vegetables and fruits, which will be naturally rich in the fiber, vitamins, minerals, and antioxidants that are known to reduce heart disease. Excerpt: “When we started cutting back on saturated fat, we started eating more refined starch and added sugar. We also know that excess intake of sugar, starch, and calories is associated with obesity, diabetes, and coronary disease. So if eating less saturated fat means eating more sugar, it would at best be a lateral move in terms of health- and probably worse than that. The study simply ignored this consideration”.